I am a member of the Collective Bias® Social Fabric® Community. This shop has been compensated as part of a social shopper insights study for Collective Bias and Walmart Family Mobile‘s unlimited plans powered by T-Mobile #FamilyMobileSaves #CBias #SocialFabric Thoughts are my own. Let’s have a show of hands. Who among you out there loves receiving bills? I hate bills. And one of our family’s biggest bills is for our cellphone service. Take a look at our latest one below. Currently, we pay $250 for 4 lines with 1500 shared minutes, unlimited text and unlimited data. When we signed up for this plan, we thought we were doing the right thing because they offered us unlimited plans on text/data and they were offering the phone we wanted to get. We thought we were getting the best deal because the other networks seemed to charge more on their unlimited plans. At first we really liked having an unlimited data plan. Before I even started blogging, I was already such a heavy internet user so not having to think about exceeding my monthly data limit felt so liberating for me. And then we started noticing the bad reception in our area. On their coverage map, our area is supposed to have great signal strength but our experience with choppy and dropped calls proved otherwise. I have to get out of the house to get a decent connection and talk to somebody over the phone without any problems. But I can’t just get out of the house every single time I need to use the phone. I knew I had to start looking for better options for our cellphone service. And then I found out about Walmart Family Mobile which runs on the T-Mobile network. 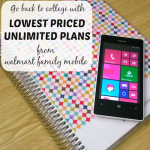 I first heard about the unlimited plans of Walmart Family Mobile powered by T-Mobile through the #FamilyMobileSaves posts of other bloggers on #CBias. Since I know my family can benefit from better reception and some extra savings, I checked it out. – For $39.88 per month, get unlimited talk, text and web. This option is great for heavy internet users. – For $29.88 per month, get unlimited talk and text. This option is great for new users and kids. 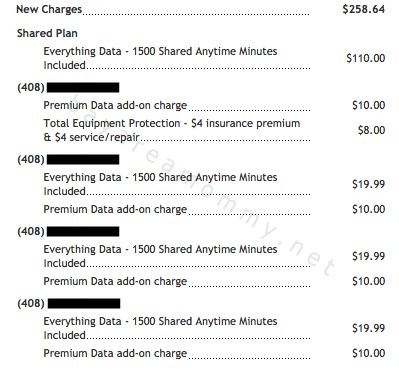 Given these prices, my family will only need to pay $145 for 4 lines on unlimited call, text and data! That’s $105 in extra savings for us each month! I received the Concord smartphone so I can try out the service and feel the savings on Walmart Family Mobile. The Concord is a basic smartphone that runs on Android. It’s a great choice for first time smartphone users or those who don’t need a lot of other functions or features running all at the same time. 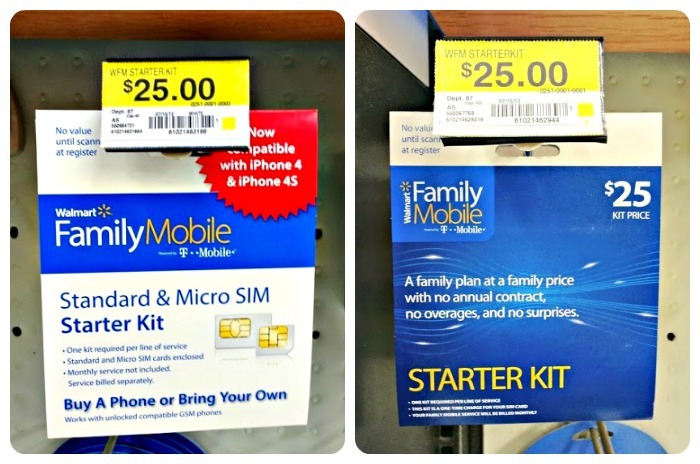 The good thing about Walmart Family Mobile? NO CONTRACTS! Simply purchase a Starter Kit Card for $25 at your nearest Walmart store. 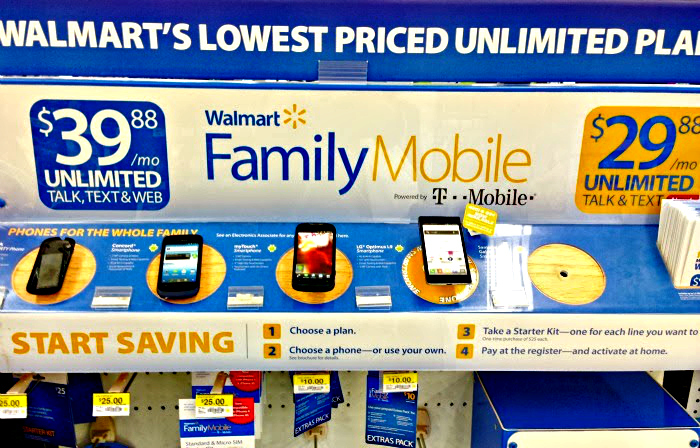 You can even bring your own unlocked phone (or any phone that runs on T-Mobile) if you don’t want to purchase one of the phones they’re offering on Walmart Family Mobile. 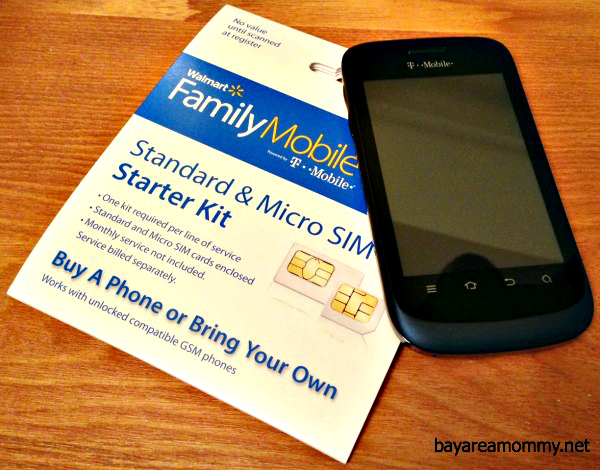 Have your account activated in store or at Walmart Family Mobile’s website for online account management and information using the details (SIM card number, etc) on the Starter Kit. And voila! You’ll be assigned a new phone number! What makes this an even sweeter deal for me and my family is that T-Mobile has great reception in our area. So far, in the few days that I’ve been trying out the service on T-Mobile, I can confidently say that reception is so much better than my current carrier. I don’t need to leave the room just to get a decent signal. I’ll give you a more detailed update on the service next month. But in the next few months, I’m expecting little to no dropped and choppy calls based on what I have noticed. Check out my Google+ story! The family mobile looks like an amazing deal! I need to try this plan! this sounds like a great phone plan for us! I am so insanely angry right now with my provider that I could flip and switch over happily. So this is very valuable information to me. thx. Sounds like a great plan for families! 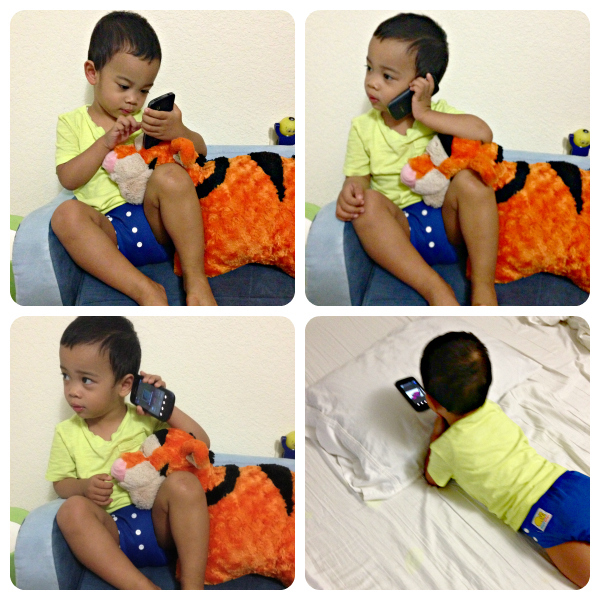 We are presently looking for three new phones: one for me and one for my each of my kids. I had no idea how we were going to afford it. Walmart family plan sounds like it might be exactly what we need. Thanks! That is some HUGE bill you got!! I have to check out this Walmart plan…I don’t anything fancy, and the savings are just amazing. And no contract? Super – I hate being “married” to the plan! Thanks for the info! I got to look into that. I’m currently ‘locked in’ to a 2-year Verizon deal that’s set to expire in November and I need a new plan and a new phone. I’m locked till January 2015 🙁 I wish I knew about Walmart Family Mobile back then. I wouldn’t have renewed our contract. This one will really save us money! I agree, Kristy! I’ve decided to continue with my Walmart Family Mobile line and just pay an early termination fee for my iPhone which is under contract. I’m waiting till December/January though when the fee goes down. Thank you for your review. It came at the perfect time. My 6th grader has been “highly” encouraged to have a smart phone for in class work. After reading your review we went to our Walmart and looked at all the options. This may be the answer for us. Thanks again! I’m glad this helped! I think a lot of people really need to know about their plans especially because it’s so cheap compared to most other plans. Sounds great! Thanks for all the info! Great post! low data and poor reception in many areas. data used up quickly is not unlimited..I give the service a d plus. but its cheap get what we pay for..
I’m finishing my contract with AT&T. There is no way I will ever be locked into another contract jail-sentence for two years. The other cell phone companies had better sit up anted take notes. WalMart is going to dominate a substantial market share in this area and they are giving control back to the people, who make Walmart who they are today. My hat is off to you WalMart. Sounds like a fantastic plan. Thank you for sharing.